Wireless Internet access is complimentary for all guests staying at the Grand Canyon Railway Hotel. The Grand Canyon Railway Hotel has everything to make your stay memorable. Enjoy a swim in the indoor pool or throw some horseshoes by the sport courts. Relax with a drink at Spenser’s Pub, or pick up a souvenir at the Depot Gift Shop. Whether you’re looking for a romantic getaway or a rewarding family vacation, the Grand Canyon Railway Hotel is your home-away-from-home for fun. 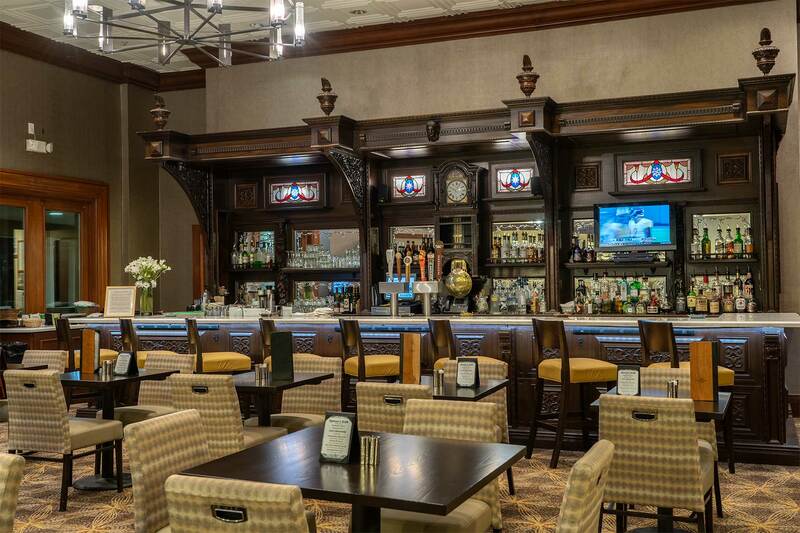 Enjoy fine spirits in Spenser’s Pub, conveniently located adjacent to our lobby. As the signature room in the hotel, it features a custom handcrafted mahogany bar built in the late 1800s and brought over from Europe. Spenser’s offers light fare such as oven-baked pizzas and hearty sandwiches, all served up in a great atmosphere. 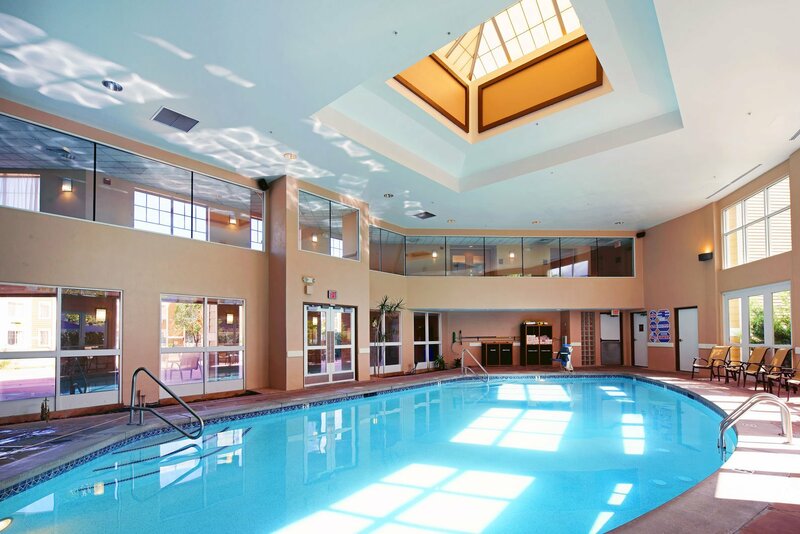 Take a dip in our heated salt-water indoor pool—because while the weather in northern Arizona can vary, you can be sure the pool is always warm. For those who like it hot, there is also a hot tub for your relaxation and enjoyment. The hot tub will be undergoing repairs that will have it out of order until mid-May. The pool will continue to be open during this time. We apologize for any inconvenience this may cause. The Business Center is located inside the Railway Hotel’s main lobby. It features two Windows-based desktop computers with complimentary internet access and printer. 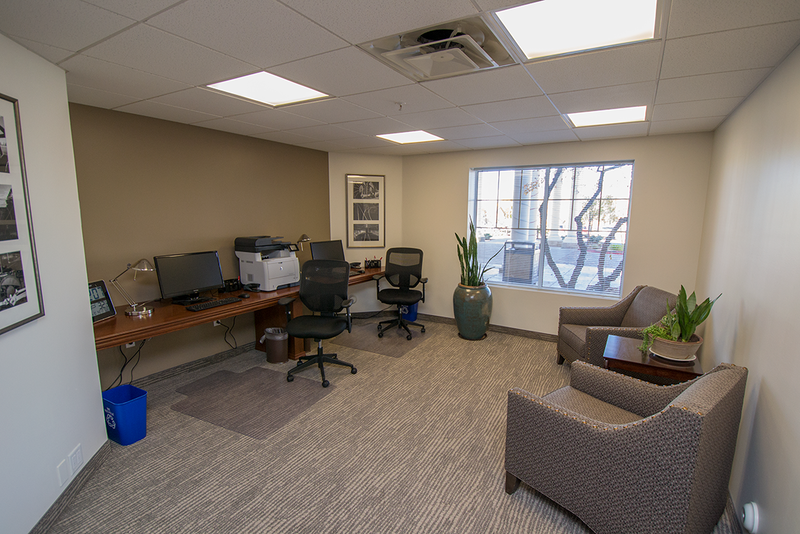 If you need to research travel destinations, directions, local attractions, and print handy information – our Business Center should be your first stop! Planning a group banquet or company retreat? We have three meeting rooms on site: The Santa Fe Room and Grand Canyon Room are located inside the Railway Hotel, The Fray Marcos Room is located adjacent to the historic Williams Depot. All three meeting rooms are equipped with Audio/Visual equipment. Even while on vacation, keep up with your workout routine with the state-of-the-art fitness equipment in our exercise room. Guests under the age of 16 are welcome to use the exercise equipment when accompanied by an adult. Grand Canyon Railway Hotel is all about fun! Looking for a little indoor excitement? Check out our games room complete with video games and pinball. 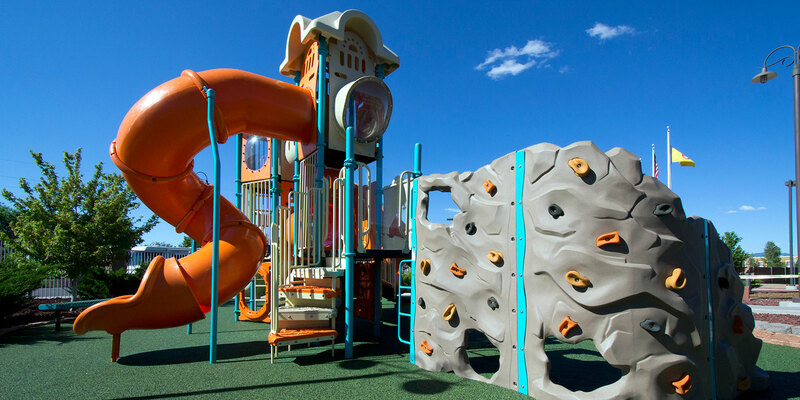 Or venture outside where there is a professionally designed outdoor playground equipped with spiral tube slides, crawling tubes and a (rock) climbing wall. From our basketball court and volleyball court to horseshoe pit, there’s something for every member of the family to enjoy! Williams is home to Elephant Rocks, an 18-hole golf course located just a mile from the hotel. Designed by Gary Panks, this picturesque course will allow you to drive the ball at near 7,000 feet elevation, and test your skills as you wind through the Ponderosa pine-lined fairways.